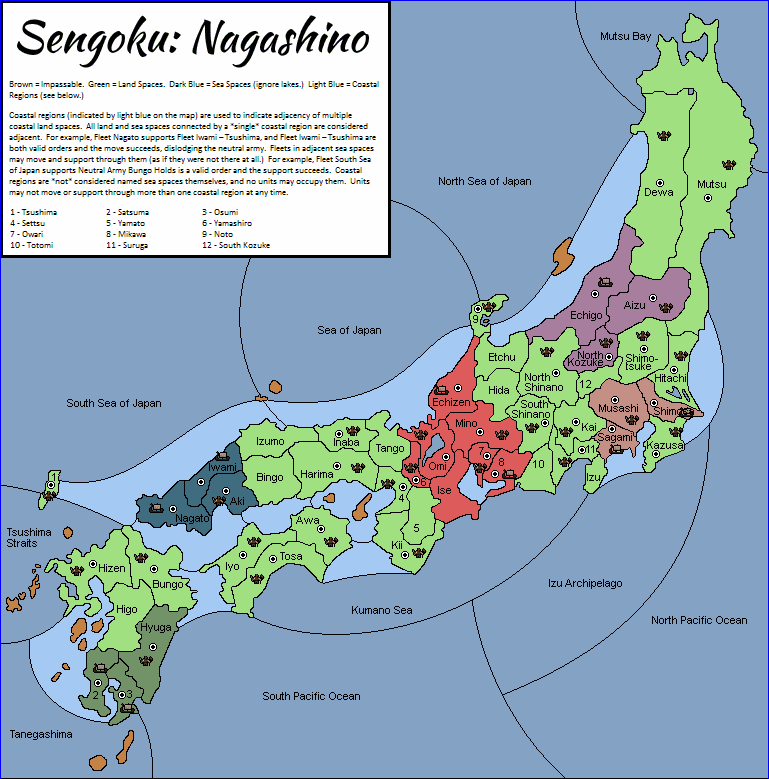 The Sengoku: Nagashino Variant is a historical transplant to medieval Japan. In addition to the 5 players of this variant,each neutral territory is occupied by a neutral army that never does anything but hold. These armies may be supported by other players. They are disbanded immediately if dislodged. Coastal regions (indicated by light blue on the map) are used to indicate adjacency of multiple coastal land spaces. All land and sea spaces connected by a *single* coastal region are considered adjacent to each other. 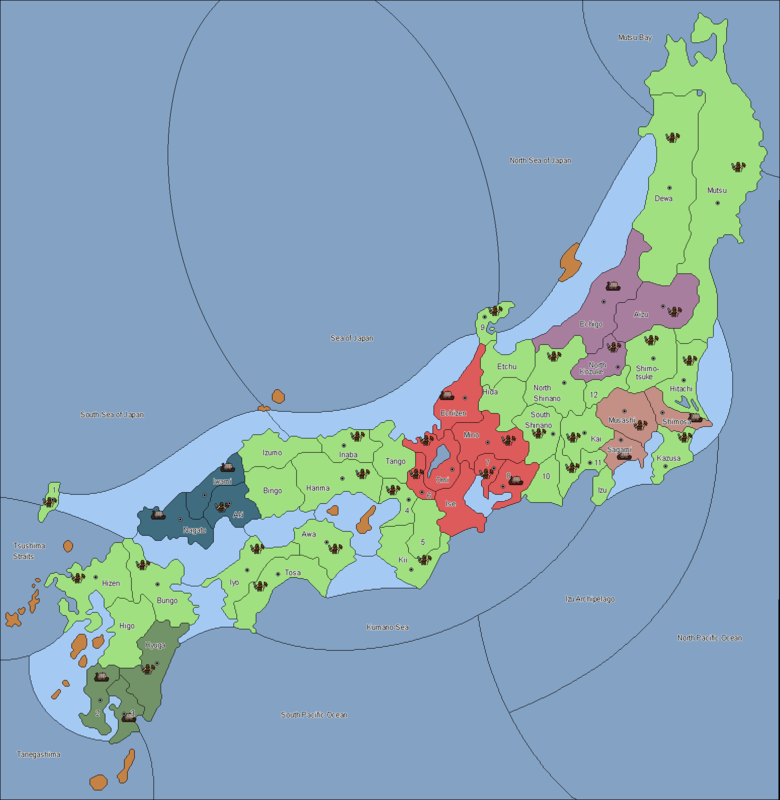 For example, Fleet Nagato supports Fleet Iwami – Tsushima, and Fleet Iwami – Tsushima are both valid orders and the move succeeds, dislodging the neutral army. Fleets in adjacent sea spaces may move and support through them (as if they were not there at all.) For example, Fleet South Sea of Japan supports Neutral Army Bungo Holds is a valid order and the support succeeds. Coastal regions are *not* considered named sea spaces themselves, and no units may occupy them. Units may not move or support through more than one coastal region at any time.